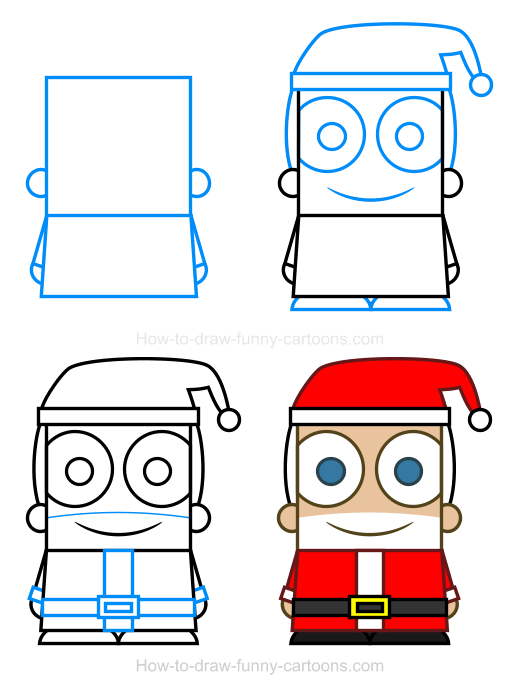 Whether it's Christmas time or not, drawing a cool Santa clipart is always a fun task to perform! This iconic character is always associated with an amusing time of the year when happiness is king and gifts are flying everywhere. Yes, the spirit of Christmas can live through the entire year! 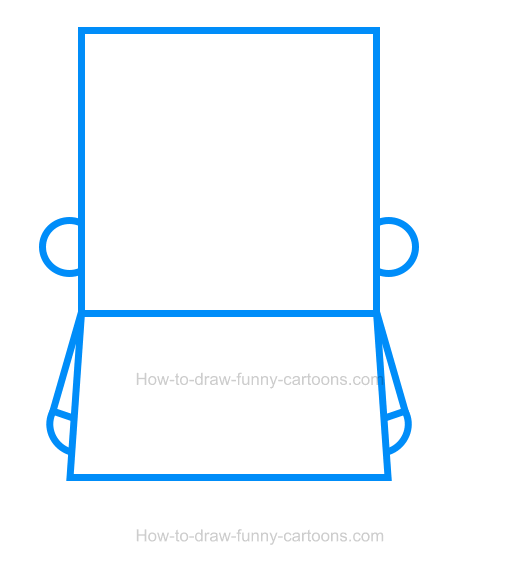 First, let's draw a small square to form the head of the character. Next, create the body using a medium rectangle that must be slightly narrower on top. 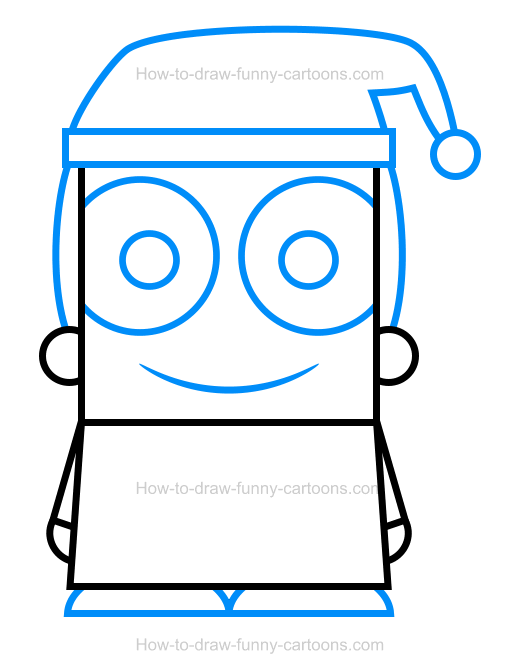 Then, draw two small circles on both sides of the head to create the ears. The arms and hands are made from thin rectangles and small circles. When you are ready to proceed, draw the eyes and the pupils using large circular shapes. Then, create the mouth using a long curved line. The hat is made from a rectangle and a long line. Don't forget to add some hair on both sides of the head. Finally, draw the feet below the clothing as shown below. The beard is created from a long curved line. 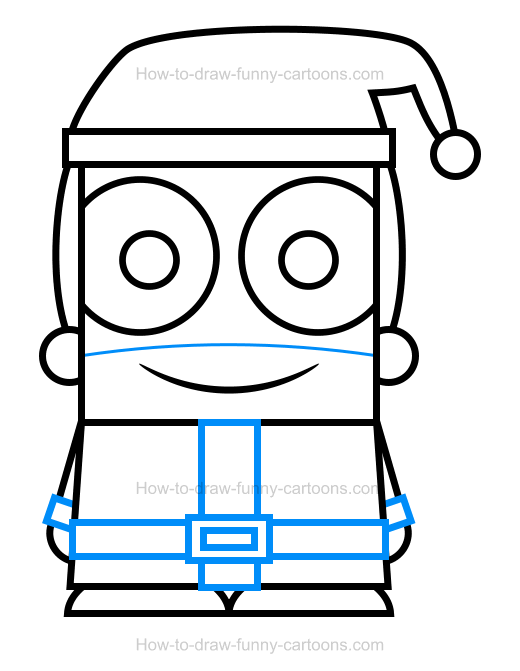 Next, you can draw details on the clothing of Santa using some rectangles and squares. You can also draw a belt to complete the drawing aspect of this tutorial. Good work! Let's add some colors now! Of course, Santa is mostly filled with red and white colors. Areas that must be white include the bottom part of the hat, the hair, the beard, the eyes, and the stripes on the costume. Places that must be red are the hat and the costume. In this case, the pupils of the cartoon character are blue. Finally, the belt must be grey and yellow while the feet are almost black. Ho! Ho! Ho! 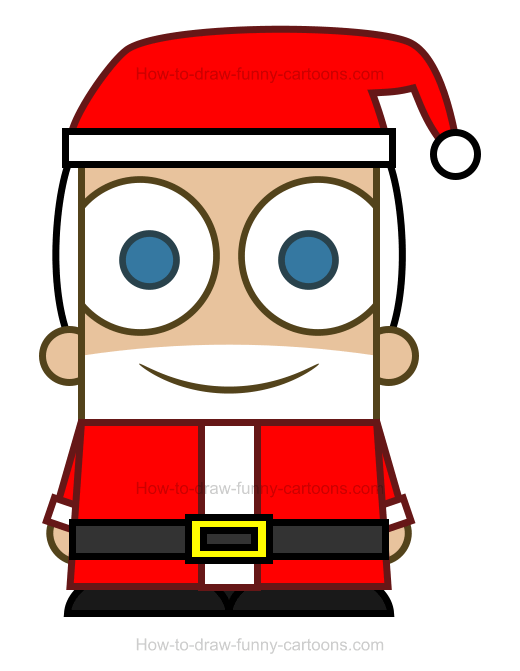 This Santa clipart is ready for Christmas!